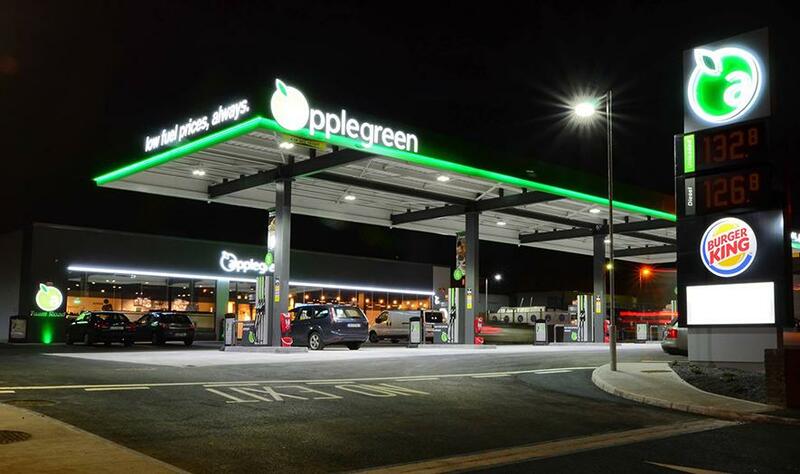 NLCE carried out a LEED Assessment on Applegreen Mountgorry fuel and amenity store. This is a one storey, 648m2 building, with an average of 2200 average daily users. This LEED (Leadership in Energy and Environmental Design) certification recognizes that a building was designed and built to achieve high performance in five key areas of human and environmental health: sustainable site development, water efficiency, energy and atmosphere, materials and resources, and indoor environmental quality. The building made use of many green and eco-friendly technologies consisting of air to water heat pumps (high & low temperature), 40m2 PV array, and rainwater harvesting & grey water recycling from the on-site carwash. The building achieved a Silver Certificate as awarded by the US Green Building Council (USGBC).